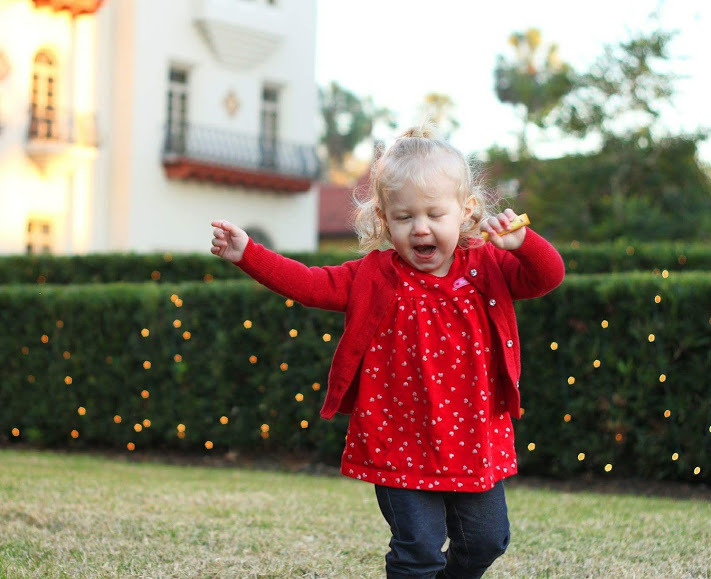 It’s no secret that toddlers love to dance. My daughter has recently entered this phase and dance parties are a regular occurrence in our house. However, as her vocabulary grows I’m becoming increasingly worried about what she hears from movies, television and especially music. Even “kids bop” type songs are a little too advanced for her. I was so thankful to have found Julie Frost and her latest debut album with songs made just for kids. 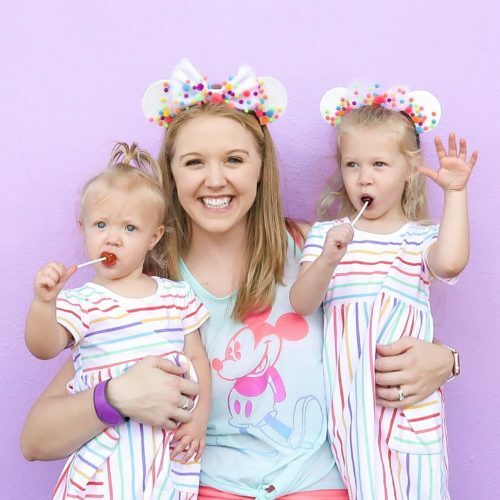 I discovered Julie Frost on Instagram as we both share a love for Disney. She is a former Walt Disney World Performer and a “military kid” with a passion for inspiring children through her music. Read more about her story. ” which teaches that kids are in control of their own attitude and despite their situation can choose to be positive. My daughter also LOVES watching her fun YouTube videos (check out her favorite below). The entire album is full of upbeat, fun songs that also teach practical lessons and offer encouraging messages for kids. I can rest assured knowing that this music is not only fun for my daughter to listen to but age appropriate as well. Julie is so sweet and regularly available through her social media channels. Check out links to her profiles below and enter to win a FREE copy of her latest album! Such a great song! My kids will love this! We always have a dance party at our house! sounds like a really great album! My daughter and I are always looking for fun new music to dance to, and I love the message of that song! Her music has great meaning! We love it! Such a small world – I know Julie from college! Her kids music is great! She is so sweet! And we love her songs!